Flowers by Rosie Sanders is a large-format book that showcases over 80 of her finest flower paintings in exquisite detail. Often compared to the artist Georgia O'Keeffe, Rosie Sanders's botanical paintings lie at the extreme end of botanical art - they exude dynamism and sensuality in every brushstroke and their richness of colour sets her apart from her contemporaries. 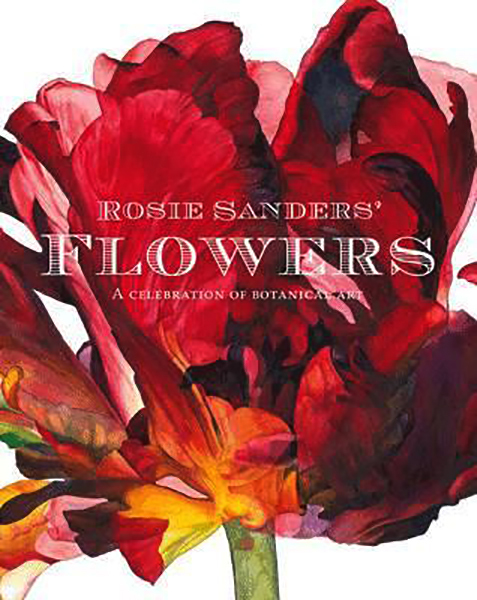 In this beautifully illustrated book, Rosie exhibits a selection of flowers, from tulips to orchids, roses to irises, anemones to amaryllis, and illuminates them with fascinating and skillful uses of perspective and light. This large-format book showcases her finest paintings in exquisite detail and they are accompanied by excellent and accessible scientific commentary. Also included is an introduction by renowned Swiss botanist Dr. Andreas Honegger. This book is perfect for artists want to get a closer look at a master's brushstrokes, textures and colour in paintings, or readers who are interested in contemporary botanical art. Chapters include:1. Diversity in the Garden2. Dark Flowers: the Magic of Night3. A Fascination of Orchids4. Lilies in Spring5. Varieties of Belladonna6. In Search of the Black Iris.